It might seem slightly bonkers, given that I had driven for nearly two hours, to pull in for a coffee break just a few miles short of my destination. But that’s exactly what I did on my recent trip to Kilkenny city when I stopped in the pretty village of Bennettsbridge which is only four miles from the city. 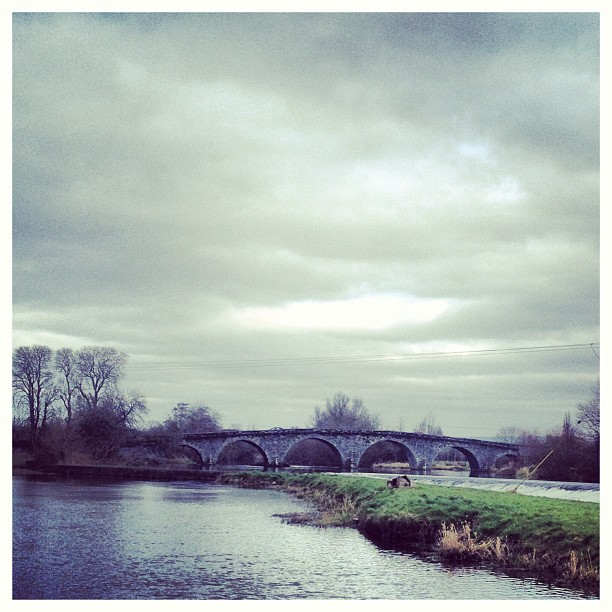 Bennettsbridge is on a scenic stretch of the river Nore. It has many attractions including: a multi-arched picturesque stone bridge; some beautiful old mills; many stately ancient trees; swans gliding majestically and ducks paddling peacefully on the river; and it’s home to many small craft producers. It’s a charming place where you can feel, if you ignore the hum of traffic and the overhead electricity wires, the decades dissolving, the centuries colliding and a palpable connection with the past. 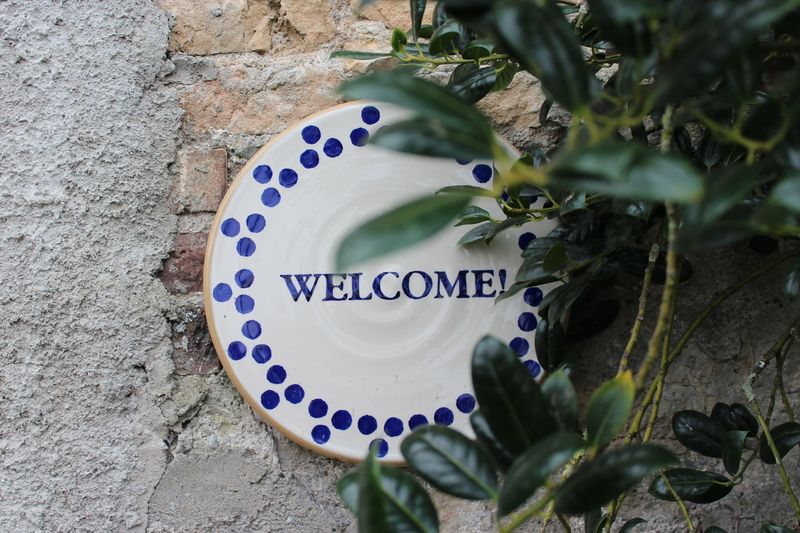 The main reason I stopped in Bennettsbridge was to visit the Nicholas Mosse pottery, shop and café all of which are in one of the village’s old mills. 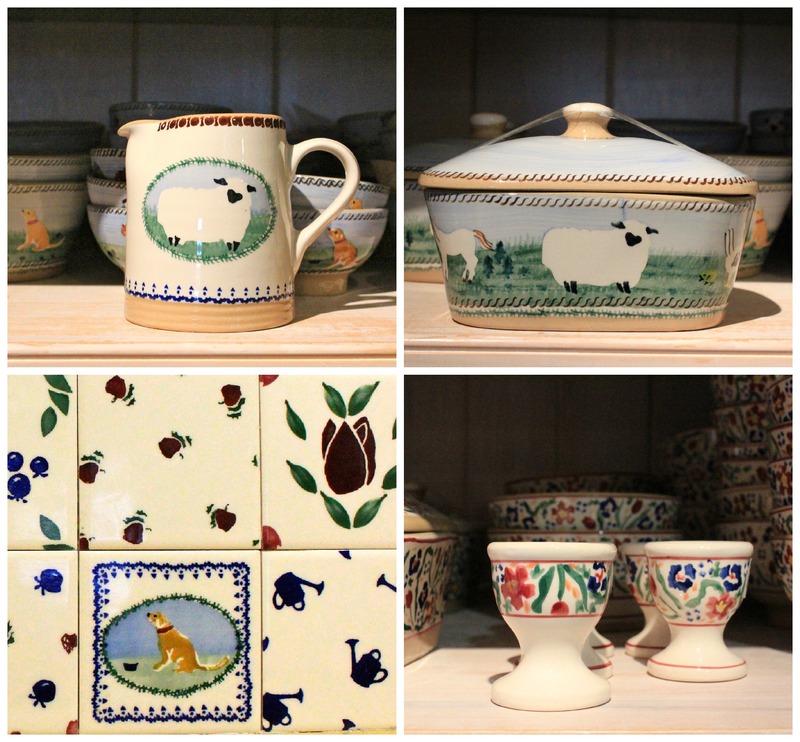 Nicholas Mosse and his wife Susan started their pottery business in 1976. Their aim was: ‘to create beautiful things with our Irish traditions.’ Heritage and restoration are also important to them. 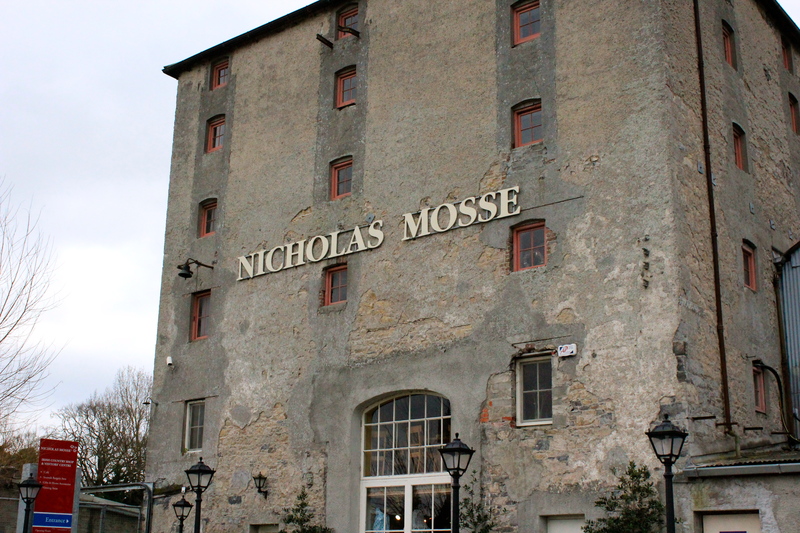 They rescued and breathed new life into an old 16th century mill, where earlier generations of the Mosse family had milled flour, before moving their business into it in 1985. Nicholas is a potter and Susan is the artist who creates the designs for decorating the spongeware pottery. She draws them many times until she is wholly satisfied with the artwork and only then cuts out the sponges which a skilled team uses to transfer the designs to the undecorated vessels that a group of potters who work in the business produce. The first thing I did when I arrived was to head to the first floor café. The rustic café room with its river view is peaceful place to while away some time. 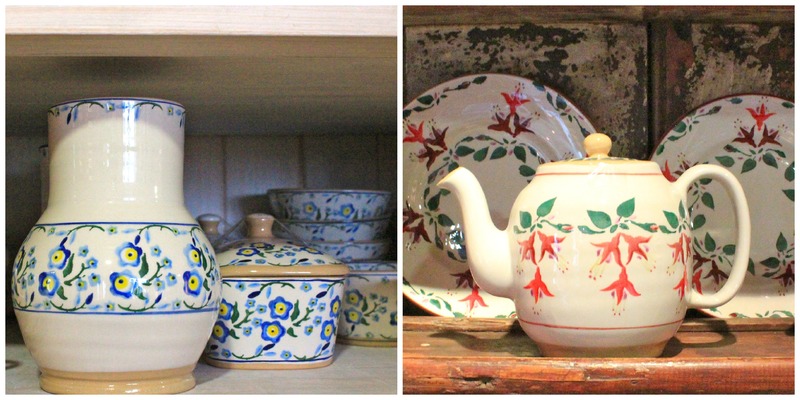 High glass cabinets filled with a divine collection of vintage spongeware pottery line one wall of the room and also on display is a cute tea set made by Nicholas Mosse when he was just eleven years old. The icicle tingle of taste-bud nervousness about ordering a coffee somewhere new proved unnecessary as I found the coffee here good, not utterly sublime but that’s the holy grail. I also had a delicious scone with some utterly lovely jam. 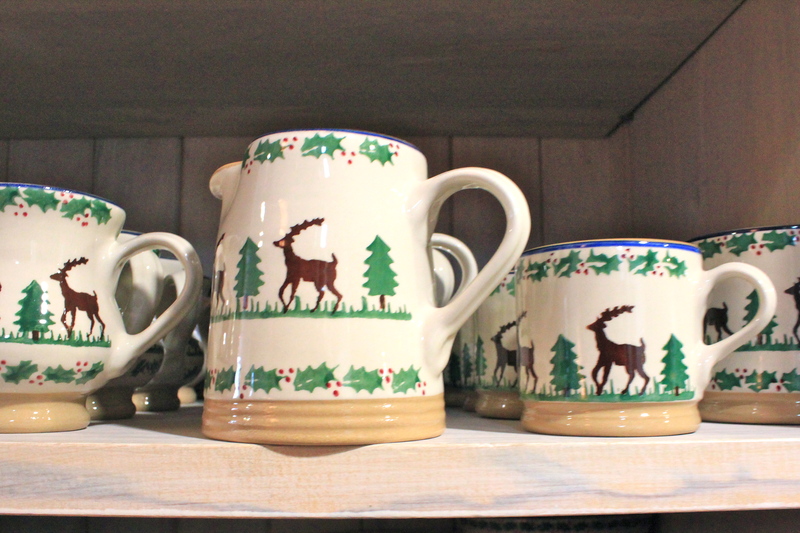 All the crockery used in the café is from the Nicholas Mosse range and there is something special and soothing about drinking out of and eating off hand crafted tableware. Thus fortified I wandered around the shop which carries a vast selection of stock not just the spongeware pottery but also glass, tea towels, PVC coated fabrics … Naturelllement I bought some things: a Christmas jug (like the one in the image above) and two pretty mugs one decorated with old roses and the other with forget-me-nots. I found them in a large section upstairs which sells seconds (I found it difficult to spot the flaws) at reduced prices. And then it was back in the car to pottle along the back road into Kilkennny city. Unbelievable! When I was living in Milan I used to go to this fancy spa and one of the masseuses who worked there told me that if I really wanted to lose weight I should have started my day sipping hot water with lemon juice. So, is that true? such a lovely post and nice photographs! Thank you for your comment. And a special thank you for your compliment on one of the sentences in my post. I really appreciate that as I spent an age trying to find the right words to express what I felt. That’s so very true Meg. It’s all part of the travel and of life’s journey. Bennettsbridge is lovely so I am very glad I stopped there. Thank you very much TG. *waving* back from the Emerald Isle. I have followed your East Coast adventure on the blog and, of course, on the instagram thingyumbob. I love the Emily Bridgewater mug BTW. Safe journey back to LA. And if your celtic soul celebrates it, Happy St Patrick’s Day! Thank your so very much.